Maybe there's no silver bullet for becoming a better golfer, but I think there are some basics that can help most anyone on learning to play golf. The bigger question is – will you do it? I mean losing weight is easy for most people – just eat fewer calories than you burn up. But, but, but...there's always a but. In no particular order, here's my guidance. Work on tempo. However you swing, fast or slow, make sure your tempo is the same on the backswing and downswing. Count to yourself, use a golf metronome, sing a tune in your head. Just manage the tempo. That goes for every club in the bag including the putter. While you are out on the course make consistent tempo your goal. Mind set – means give your mind very specific tasks while on the course, the practice range is a different matter. The old bean is good for strategy and it's good for observing. How do I feel, am I comfortable, am I remembering that it's just a game, look at the beautiful sunset, how does the grip feel in my hands. You get the idea. Just don't let it start giving you swing instructions. If you want to know more about how to use and not use the mind in sports, try reading something by Tim Gallwey. Find out what's really going on in the golf swing. There are millions of books with millions of suggestions and I think most will confuse you on the basic swing. Try checking out Carl Rabito, his website is CarlRabito. I don't know the guy and I don't get any money from him. I've only recently discovered him, but I think his modern scientific approach to golf gets as close to the 'truth' about the swing as anyone. And it looks pretty simple. Know how the knees, hips and torso move in relation to each other (the torso must move faster than the hips on the downswing because they have further to go). The arms are almost passive. Know what the correct wrist angle is. Want to use some science to understand the short game, take a look at Dave Pelz's stuff. He is 'the man' on the short game. He used to work for NASA many years ago and has used a scientific approach to understand what really works and what doesn't. He's helped many of the top pros, just ask Phil. Again, I have no connection with him. Hell, I don't have a connection with anyone in golf for that matter so I'll stop adding that in. every other day, it will help build your golf muscles and might even help stretch them out. Know about the adrenalin effect we talked about recently. When you step up to that first tee, you're going to have some of it flowing through your veins and it will effect your swing. The more you swing with your torso – the big muscles – the less it's effect will be. Video yourself if possible and then compare it with a good golfer's swing. There are lots of tools for doing this. One is online at V1golf. Once you start playing a real round of golf, 'dance with who brought you'. In other words, use whatever swing shows up, don't go trying to correct everything during your round. And have fun, unless you play golf for a living. That's what we go into the coal mines everyday for. It would be a shame to waste those precious days off just making ourselves miserable! Work does that for most of us, so don't let it on the course. Congratulations to the winners of the The USGA "Back to Black" Challenge, who will receive exclusive USGA and Bethpage memorabilia! Celebrate Spring with free virtual golf balls! When you purchase $10 or more WGT credits today, March 27, you will receive a free sleeve of GI2-S golf balls. GI2-S golf balls give you the extra spin of GI-S balls, with the added benefit of a slower swing meter. Use your WGT credits to upgrade equipment in the Pro Shop and improve your game, enter premium tournaments, or challenge other players in match play games. With an ever-growing array of equipment in the Pro Shop and higher payouts in tournaments, credits are the best way to get the most out of your WGT experience. Hurry, the offer is good only on purchases made between 12:00 AM and 11:59 PM on March 27, Pacific Time. Please allow up to 7 days for the free balls to arrive in your account. One sleeve of free golf balls per customer. How do I get WGT credits? To purchase credits, click on the ACCOUNT button under your username on the upper left hand side of the screen, then click on the Buy Credits tab. 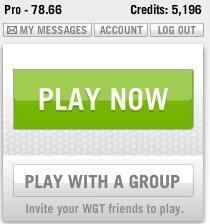 Learn all about getting WGT credits here! Last week, we announced our exclusive partnership with the USGA and to be the host of the 2010 USGA Virtual Championship at Oakmont Country Club. Below is a quick flyover video of Oakmont, filmed by our course producers from a tiny helicopter. The images we took from the helicopter will be used to create the HD course that you will play on in the Virtual Championship! Celebrate Spring with free virtual golf balls! When you purchase $10 or more WGT credits on March 27, you will receive a free sleeve of GI2-S golf balls. GI2-S golf balls give you the extra spin of GI-S balls, with the added benefit of a slower swing meter. Mark your calendars, the offer is good only on purchases made between 12:00 AM and 11:59 PM on March 27, Pacific Time. Please allow up to 7 days for the free balls to arrive in your account. One sleeve of free golf balls per customer. Today's game tip covers how to start a game on WGT. There are a variety of formats, and below is a summary of the different types. To start a game, click the PLAY NOW button at the left side of the screen on WGT.com. MULTIPLAYER GAME > JOIN A GROUP: This option makes you available to join in a multiplayer game that others create. When another player creates a multiplayer game and you fit the criteria they specified, you will be invited to join. MULTIPLAYER GAME > CREATE A GROUP: This option allows you to create your own multiplayer round. You can invite friends who are online from your friends list, manually type in the username of a player you'd like to invite, search for players by typing in a partial username, or invite anyone who has made themselves available to join a multiplayer game. MATCH PLAY GAME > JOIN A GROUP: This option makes you available to join in a match play game other others create. When another player creates a match play game and you fit the criteria they specified, you will be invited to join. TOURNAMENTS > READY GO: This option allows you to browse the available ready-go tournaments. You can see how many spots are left in each ready-go tournament, as well as the payout amount and the number of player who have posted a score. To see our video tutorials, go to our YouTube channel! "Balance Daniel son, must learn the balance!" For those of you old enough to remember the movie "The Karate Kid" you remember those infamous words of Mr. Miagi teaching his student the importance of balance. I feel like Mr. Miagi on the lesson tee sometimes as I stress balance to all my students. Balance is a fundamental you will find in all great golf swings. The swings make look different, but they all seem to finish like they are posing for the camera. Your vestibular system and your nervous system equip you with tools for balance. Solid swing fundamentals also lead to better balance. Try this next time you go to the driving range. Don't make a backswing and simply swing from your set up into a perfect, balanced finish position. Hold it there for ten seconds to allow your brain to understand the feeling of a balanced finish. Now set up and try to swing into that finish. It's amazing how your swing plane and body motion starts to come around. Often times, as players, we get caught up in the minutia of the different parts of the swing. There is not enough time during the swing to think about all those details! Make it your goal to finish in balance and a lot of the swing faults will start to melt away. As I mentioned in the video, slowing down your swing is not the solution to your balance problem. Slowing down may help your balance but now you are hitting it shorter. I have taught golf for 16 years and I have never had a student who wants to hit it shorter. Lets fix your golf swing and then speed it up! The average PGA Tour Player swings his driver at 112 mph. Have you noticed, they all pose at the finish while in perfect balance. Mr. Miagi would be proud! SAN FRANCISCO (March 17, 2010) – The United States Golf Association today announced that it has entered into a long-term relationship with online high-definition golf destination World Golf Tour (WGT), putting golf on the forefront of technology and marketing innovation in the sports industry. In this relationship, the USGA recognizes WGT as the exclusive platform provider for its virtual golf championships. Each year, the USGA and WGT will co-host a Virtual USGA Championship, enabling fans to experience "the toughest test in golf" in real time via the USGA Web site, where an official champion will be crowned. Last year's winner, Wayne Stopak, won a trip to the 2010 U.S. Open as a guest of the USGA. In 2009, the USGA and WGT co-hosted the inaugural Virtual U.S. Open, which attracted hundreds of thousands of players from more than 180 countries. It also helped drive record visits to USOPEN.com, which provides real-time scoring updates, exclusive live video coverage and a multitude of other features designed to bring the U.S. Open alive online. "Last year's Virtual U.S. Open exceeded expectations on all fronts: fan engagement, fan feedback, Web traffic to USOPEN.com and sponsorship involvement," said Alex Withers, the USGA's managing director of digital media. "Our partnership with World Golf Tour not only allows fans to get a greater understanding of the world-class courses hosting our national championships, but it also provides our sponsors with exposure to a highly engaged audience of golfers." 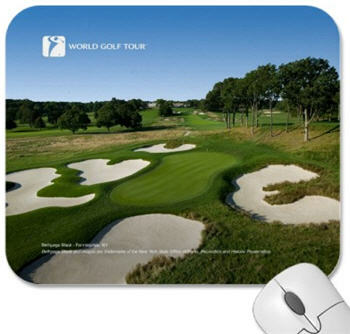 Following the success of the Virtual U.S. Open in 2009, WGT will host the 2010 USGA Virtual Championship at Oakmont (Pa.) Country Club, which has hosted 14 USGA championships and will host another in 2010, the U.S. Women's Open. The 2010 USGA Virtual Championship will be available to fans at www.usga.org and via the championship Web site at www.uswomensopen.com. In addition to the USGA Virtual Championship, WGT will develop a tribute to historic moments in golf which took place at Pebble Beach. WGT and the USGA will recreate famous shots made during previous U.S. Opens hosted at Pebble Beach so that fans can experience and truly understand the skill involved. These will be featured in the "Course" section on USOPEN.com. "This partnership validates WGT as the leader in integrating virtual sports with live sporting events, providing strong real-world value to sports organizations and their sponsors," said YuChiang Cheng, CEO of WGT. "From day one, we set out to bring high-quality virtual golf to the masses and grow the game of golf. It‘s an honor to have the USGA look to us to bring golf's most challenging courses to the world for enjoyment." 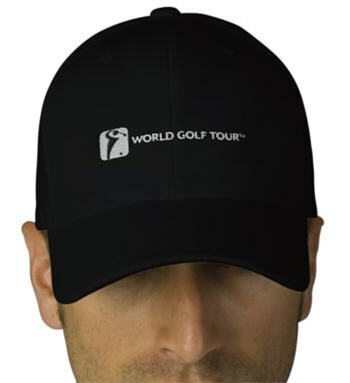 World Golf Tour (WGT) is the leader in virtual online sports gaming with its free-to-play browser-based HD golf destination that provides photographic 3D replicas of world class courses for play. With more than one million members worldwide, WGT enables players to compete in a free, easy-to learn and rewarding community. WGT requires no download or special plug-ins, and its patented technology offers a rich and realistic playing experience on world class golf courses. In partnership with brands such as American Express, the USGA, Pinehurst Resorts, Kiawah Island Resorts and NBC Sports, WGT has awarded more than $100,000 in products, prizes and tournament purses since its inception in 2008. For more information, please visit www.wgt.com. The USGA is the national governing body of golf in the USA and Mexico. The USGA annually conducts the U.S. Open, U.S. Women's Open, U.S. Senior Open and 10 national amateur championships. It also conducts two state team championships and helps conduct the Walker Cup Match, Curtis Cup Match and World Amateur Team Championships. The USGA also writes the Rules of Golf, conducts equipment testing, provides expert course maintenance consultations, funds research for better turf and a better environment, maintains a Handicap System®, celebrates the history of the game, and administers an ongoing "For the Good of the Game" grants program, which has allocated more than $65 million over 13 years to successful programs that bring the game's values to youths from disadvantaged backgrounds and people with disabilities. For more information about the USGA, visit www.usga.org. I can always tell when a student has practiced well between lessons. The improvement is noticeable and that does not happen by chance. Golfers call mistakes in their golf swings "bad habits." These bad habits are just learned behaviors that have been ingrained through repetition. For better or for worse, the frequency of these behaviors encodes neural pathways forming habits. Unfortunately, you cannot change a habit, but you can build a new one. Just think about how you tie your shoes. You have learned this behavior and although you may learn a better way to tie your shoes, your brain will not forget the old way. The key is how do we make the desired motion the dominant habit. Practicing the new motion will eventually make it the dominant habit. Just make sure you are practicing correctly because you don't want to ingrain the wrong habit. There is a fabulous book entitled The Talent Code by Daniel Coyle that talks about "deep practice". Deep practice involves going slowly, understanding mistakes and overcoming them on your path to building expertise. It helps to have an instructor give you feedback as you perform the new motion in order to understand what the mistake is and how to make the proper adjustment. So in the meantime, what can we do yo make the new motion appear on the golf course? Students often are frustrated because they can't take the swing they performed in the lesson or practice tee onto the golf course. This is because the old dominant habit takes over. The only way to get the new habit to appear is to rehearse the motion where you can see and feel what you are trying to do, and then hit the ball within a few seconds. In other words, as my mentor Jim Hardy says, "recency will trump frequency" if you hit the ball within 30 seconds of the rehearsal. It is also crucial that no extraneous thoughts enter your mind between the rehearsal and the execution of the shot. There are many distractions on the golf course and if your brain wanders, you will revert to the dominant habit. Lastly, it is important to understand your game in order to know what to practice. This is why I co-founded www.mysmartgolf.com. 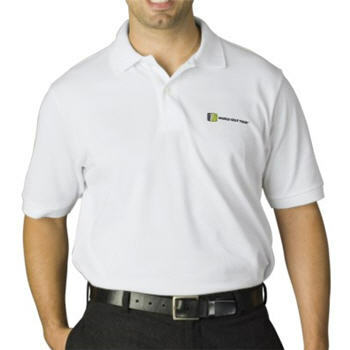 It is a way for you to chart your golf statistics and receive feedback as to where you need help. Understanding your game will help you and your instructor make your lesson and practice time more efficient.